Home » Coast to coast » Lynne Stewart: ¡Presente! With deep sorrow we report that the courageous people’s attorney, Lynne Stewart, died on March 7. She spent more than four years behind bars for defending a blind Muslim cleric, and was released only after her cancer metastasized. Her death is mourned by many. Workers World has learned that a viewing will be held on Friday, March 10, from 2 to 9 p.m. at Scotto’s Funeral Home in Brooklyn. Her funeral is scheduled for Saturday, March 11 at 9 a.m. at St. Mark’s Church on the Bowery. The following article, by Dolores Cox, was written after Lynne Stewart arrived at New York’s LaGuardia Airport after her release from prison in 2014. New York, Jan. 1, 2014 — There she was, standing, and then walking slowly towards us, unshackled, without handcuffs or belly chain, and with a gigantic smile on her face. She was a sight for sore eyes, her inner and outer beauty reflected. Lynne Stewart’s family — her two children, who are attorneys; a daughter, who is a hospice doctor; grandchildren and great-grandchildren — along with her many supporters and attorneys were there. WBAI radio producers, independent photographers and videographers, Prison Radio’s Noelle Hanrahan and Amy Goodman of “Democracy NOW!” had also gathered inside LaGuardia Airport, waiting for what seemed like forever, to welcome Lynne home. There were 75 to 100 supporters there. And then, she emerged. It was a day that many had feared would never come. When asked how she felt, Lynne said, “There ain’t nothing like freedom.” She talked about being very tired, and said that she was surprised about her release and that she had been getting to the point of giving up hope. She was notified of her approved release on the morning of Dec. 31, New Year’s Eve, by a phone call from her lawyer in France, and by prison officials. Everything happened quickly at that point. At 9 p.m. on New Year’s Eve, Ralph walked into his hotel room with Lynne at his side. This moment was captured by fellow activist and producer Bob Lederer on the air at WBAI radio, when he telephoned Ralph to interview him about the day’s events. Unknown to him and the listeners was that he would also be speaking on the air with Lynne herself. Safe at home with her son in Brooklyn, where she will live surrounded by a loving family and friends, Lynne described her four years in prison as horrible. She told of how she barely survived the life-threatening chemotherapy treatments. She stressed that she won’t forget the women that she left behind in the prison, and that she’ll fight for criminal justice system reforms. A better world is possible and we must make it happen. ¡La lucha continúa! Cox is a longtime activist with the International Action Center, which has fought for Lynne Stewart’s freedom. Between 2 p.m and 9 p.m. at Scotto’s Funeral Home is at 106 1st Place, Brooklyn, NY 11231.106 1st Place, Brooklyn, between Court & Smith Sts. 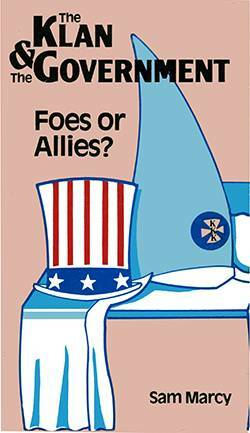 Trains: 2,3,4,5 to Court St. or F,G to Carroll St. And funeral at 9 a.m. at St. Mark’s-in-the-Bowery Church, 131 East 10th St., corner of 2nd Ave., Lower East Side. Trains: 6 to Astor Pl., F to 2nd Ave., L to 3rd Ave., R to 8th St. 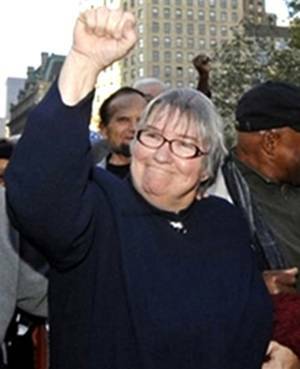 Here are a few of the many other articles from Workers World Newspaper – Workers.org on Lynne Stewart. They cover 13 years of Lynne’s trials, imprisonment, campaign to free Lynne, Lynne’s homecoming and reflections a year later.